Look at this cake, isn't it neat? 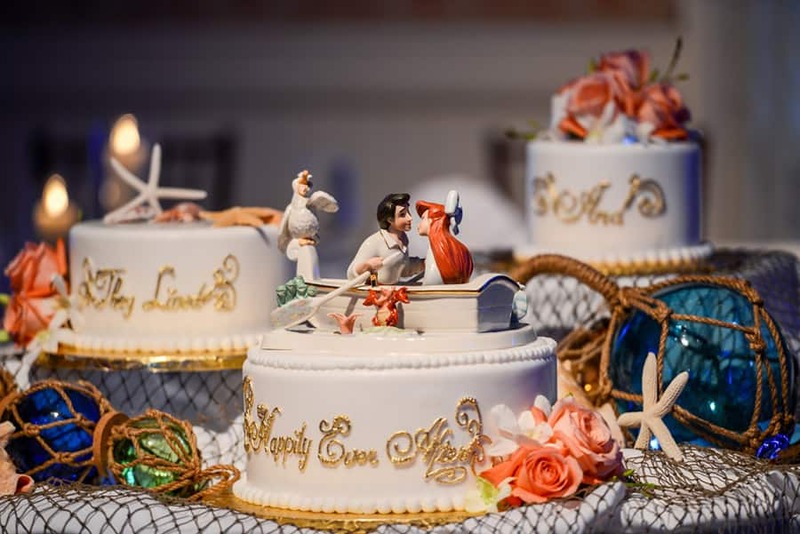 Inspired by The Little Mermaid, this fanciful, deconstructed wedding cake reminds me of life under the sea. 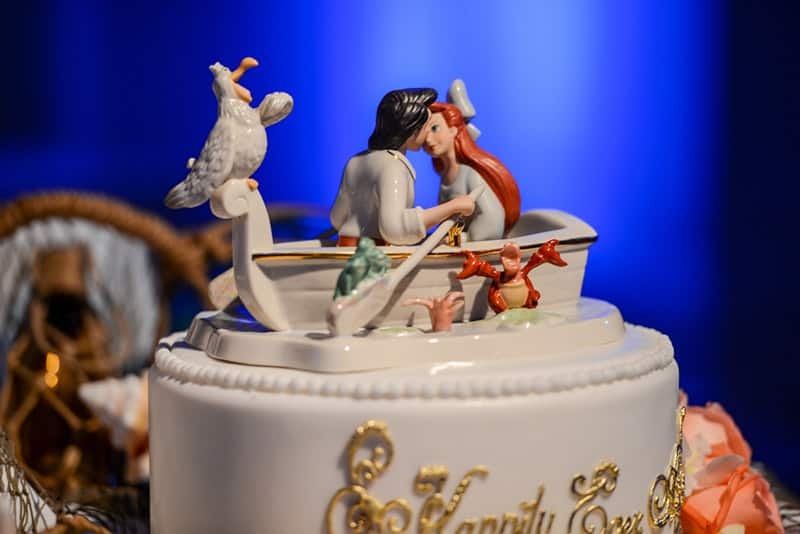 I love the cake topper, which captures the moment from the film when Prince Eric is right about to "kiss the girl." 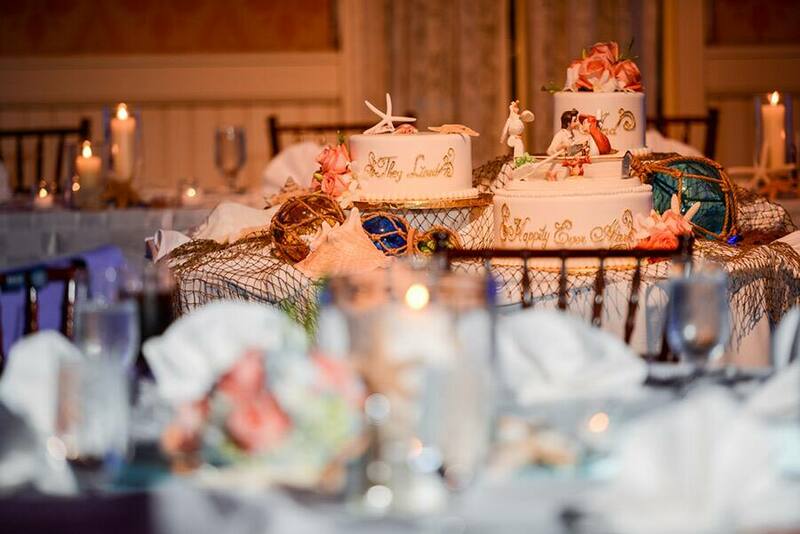 The nautical and ocean elements tie together each of the separate tiers and bring together the theme. 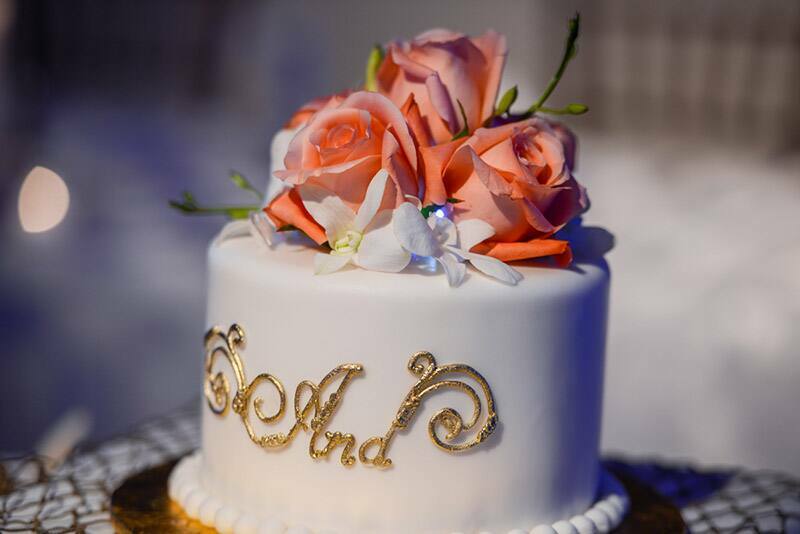 Finished off with a little happily ever after, and you have cake fit for any princess - or any mermaid!